The average spend on marketing by small businesses is $400 per month. But what if you could reduce that for your business by launching a marketing campaign that costs you almost nothing and has an immediate impact? Startups and small companies without heaps of money to throw into marketing campaigns often find it hard to compete with larger brands. But, not all marketing campaigns need to be expensive or complicated to be successful. Guerrilla marketing uses low-cost, unconventional methods to draw attention to a brand, idea, product or service. It’s all about making an unexpected and memorable impression on consumers, and creating buzz. In guerrilla marketing, creativity trumps cash. With a bit of planning and energy, anyone can execute a fantastic marketing campaign on a shoestring budget. You don’t have to reinvent the wheel or go to elaborate lengths to do something totally unique. Successful guerrilla marketing campaigns communicate the essence of a brand’s identity or one main idea about the product or service, but in a clever way. 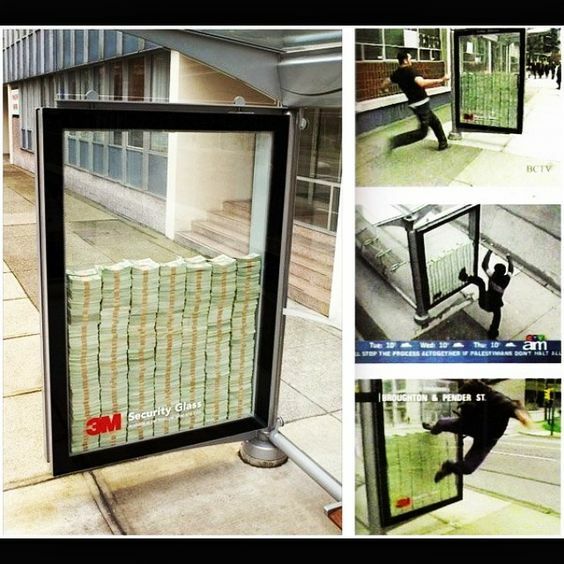 Consider 3M’s marketing campaign for their security glass. They encased three million dollars in the glass and left it on the street, daring the public to take the cash. All who tried to break the glass failed. Without words, 3M proved the sturdiness of their product. And as long as the underlying message is uniquely tied to your brand, any tactic—no matter how simple—can be impactful. In fact, the exact same technique can be used to convey very different messages, proving that ingenuity is king. Jeep painted white lines as “parking spaces” in unexpected places. The core message was the vehicle’s ability to drive on rough terrain. Mr. Clean also used white paint. 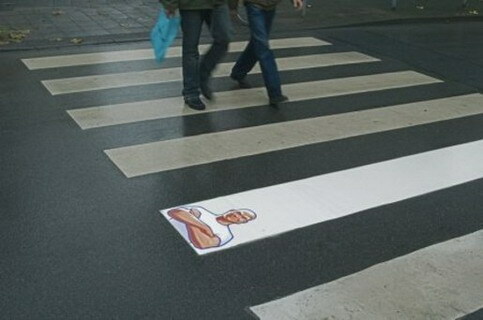 But it was meant to convey that Mr. Clean makes surfaces cleaner. To find your message, ask yourself: What’s the one idea about my brand that I want to instill in consumers’ minds? This exercise will keep your campaign simple and focused. You’ll avoid unnecessary costs in both time and money by preventing scope creep. Your message should be clear enough that consumers will connect what they’re seeing to your brand. Once you have that in mind, you can start planning the most cost-effective way to deliver your message. 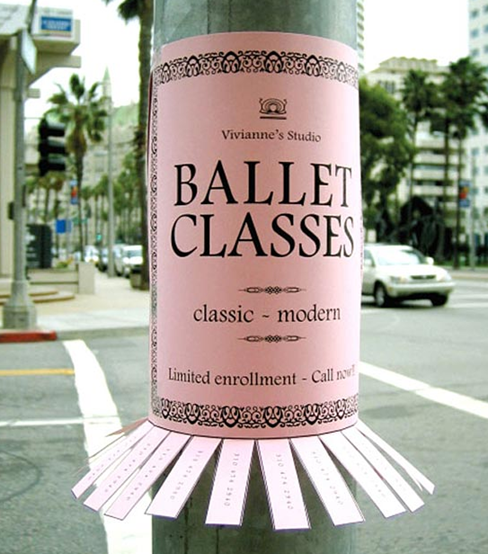 As we’ve said, guerrilla marketing relies more on ingenuity and imagination than a large budget. But, you can successfully borrow ideas from others and still have a unique campaign. One common guerrilla marketing tactic is to use art installations. These are sometimes extremely large and elaborate, but they don’t need to be to pack a punch. Amp up your fliers and pamphlets. Why not update a traditional, boring notice by adding your brand’s unique flair? If you add a visual element that’s tied to your message, your customers don’t need a bunch of text to get the point. Street art and stencils. 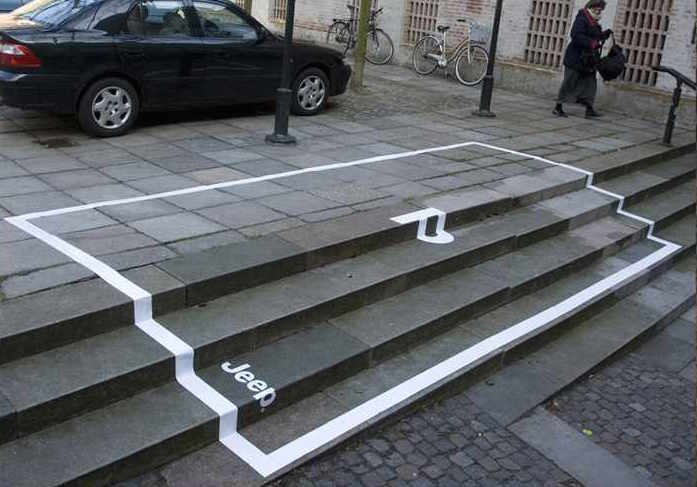 As we’ve seen, in the Jeep and Mr. Clean examples above, a simple strip of paint or stencil can convey a big message. There’s no need to involve dramatic or high-quality art, as long as you get your point across. If you go this route, be aware of public ordinances regarding street art. In some jurisdictions, this practice may require special permission, come with rules and specifications or may even be illegal. Reverse graffiti. Instead of painting something, find a dirty wall or other surface and clean part of it to form a temporary art exhibit. Use your hands, brushes or even a pressure washer (depending on the scale of the work). This option works well in cities, where grime and dirt make for an excellent—and free—canvas. 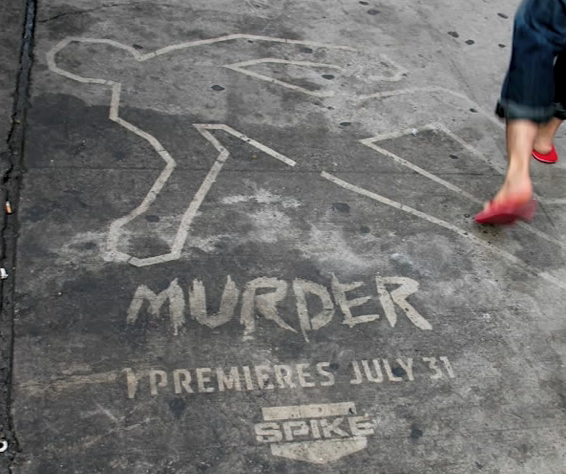 SPIKE Channel used reverse graffiti in a clever way to promote a TV show. 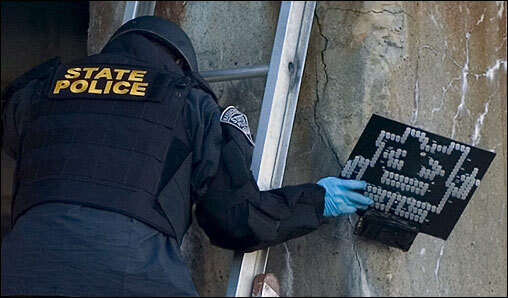 They tied it to the concept of “murder” by cleaning a crime scene cut-out image into the sidewalk. Location-specific ads use existing resources at the location in novel ways. With this cost-effective marketing method, you spend less on tools and supplies by using what’s already there. 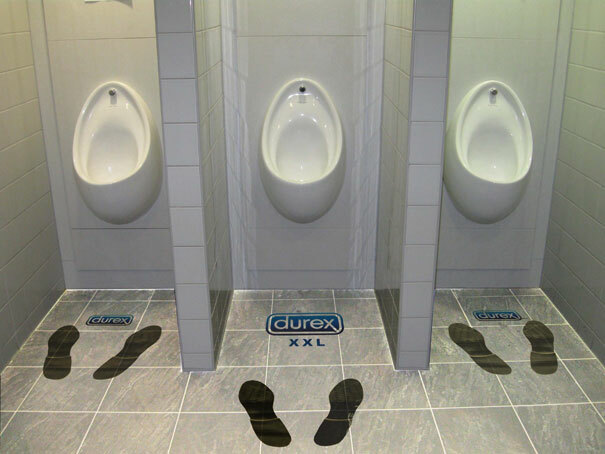 Durex is effective at incorporating elements from the surrounding environment to promote product features. In one instance, outlines of condoms were painted on sidewalk stones that had a ribbed or knobbed pattern. In another, they used urinals to market a particular product line. Not all guerrilla marketing tactics happen in a real world space—many begin online. For example, challenge your target audience to a treasure hunt (or other type of competition) on your website to generate buzz. Some companies even fabricate news stories to go with an online promotion. 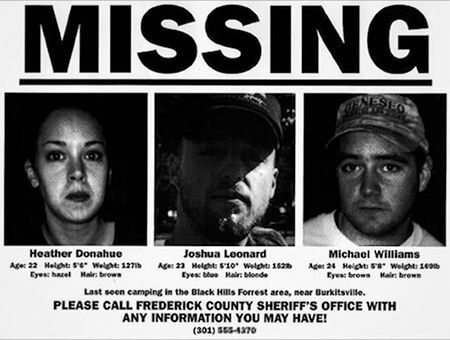 Producers of the film The Blair Witch Project created fake police reports, newsreel style interviews and information requests about the “missing” students. They sparked a substantial online debate about whether the movie was fiction or a real-life documentary. Remember, the key to success is staying true to your unique brand identity. Spend a little time connecting the dots between your message and your presentation, and you’ll come up with something meaningful, memorable and potentially viral without emptying your pockets. A certain amount of risk is necessary with guerrilla marketing, and risk can be a good thing. But, keep in mind potentially disastrous pitfalls that can occur when not enough care is taken in planning and execution. Always take the time to consider what your campaign might look like to a person not familiar with your brand. If there’s room for confusion, evaluate whether you’re opening the door to widespread panic. Panicking the public doesn’t make for a great impression. For example: To promote the TV show Aqua Teen Hunger Force, blinking LED fixtures were quietly installed around the city of Boston. The objects were mistaken for explosive devices and caused city-wide panic as bomb squads were brought in to investigate and remove them. While graffiti and some forms of flyering may break some rules, other forms of guerrilla marketing offend the law to a much greater degree. Breaking the law in egregious ways can actually harm your brand reputation. For example: In 2002, telecommunications company Vodafone hired two men to streak the field (wearing only the logo painted on their backs) during a major Australian rugby match. Not only were fans unhappy about the interruption, the authorities were called to arrest the streakers. This wasn’t great press or publicity for Vodafone. Once you’ve created some buzz with your guerrilla marketing, you may want to consider tools to help you nurture the leads it generates. Email me at lukewallace@softwareadvice.com. I’m available to help you start the software selection process, or to answer any additional questions you might have about guerrilla marketing or marketing software. Check out our detailed comparisons and real user reviews of popular marketing software.